Touch Africa is a section 21, non-government organisation whose primary mission and vision is "making school a better place". 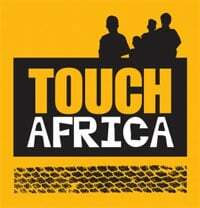 Touch Africa is the CSI sister company for Red Cherry Media. The Container Library Project is the flagship CSI project of AVBOB and all logistical and administrative duties related to this project are administered by Touch Africa. To date 27 out of 40 container libraries have been donated to underprivileged schools around the country. The container library is beautifully painted and kitted out with 2,500 books and furniture which makes it conducive to learning. Through AVBOB's partnership, Red Cherry Media was able to negotiate added value airtime for the last Container Library Project on TV, radio, print and commuter TV. AVBOB received over R950,000 in value through strategic negotiation, by Red Cherry Media, with relevant partners. Please contact Jenna Murray-Smith at Red Cherry Media on (011) 807 2531 if you want more information on Media/Production or Mike Glover at Touch Africa on (041) 581 5335 regarding CSI.